When fresh tomatoes, mozzarella and basil get together, the world is a nicer place. When the tomatoes mingle in the oven with olive oil, balsamic vinegar, garlic and sugar beforehand, Roasted Tomato Caprese Salad happens. 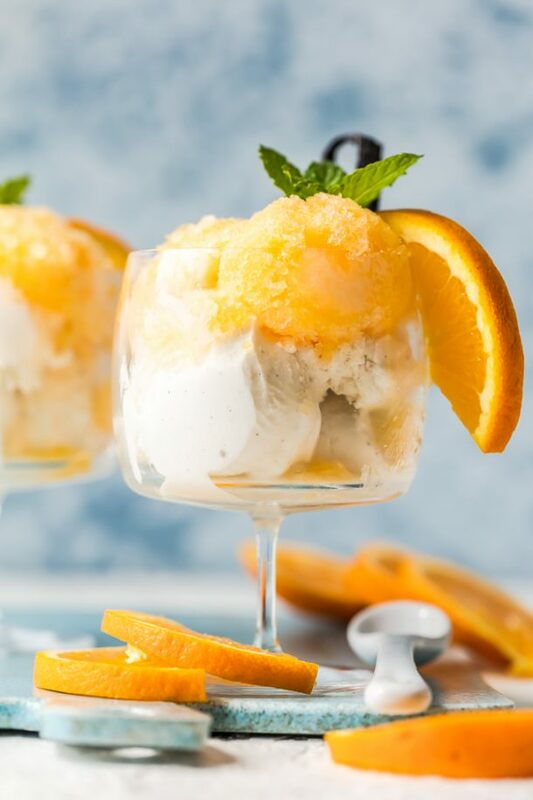 The world isn’t only nicer, it is also a little sweeter. The original Caprese Salad, Insalata Caprese, means “Salad of Capri” and was created to resemble the colors of the Italian flag: red, white and green. Italians are blessed the freshest tomatoes, mozzarella and basil are plentiful in Italy, are the ideal colors and perfectly complement each other? Caprese salad is light and heavenly when made with the ultimate ingredients: garden-fresh tomatoes off the vine, soft buffalo mozzarella and just-picked basil, but…when the best can’t be found, Roasted Tomato Caprese Salad is the next best thing. Roasting tomatoes brings out their natural sweetness and makes less-than-ideal tomatoes tasty. When they are infused with garlic, olive oil, balsamic vinegar and sugar, tired tomatoes are enlivened and waltz around the tongue. I’m a little jealous the Isle of Capri has a salad named after it and have decided to create a salad honoring my home state of Missouri. It will have foods of red, white and blue surrounding a bear-shaped, KC rib-eye steak. 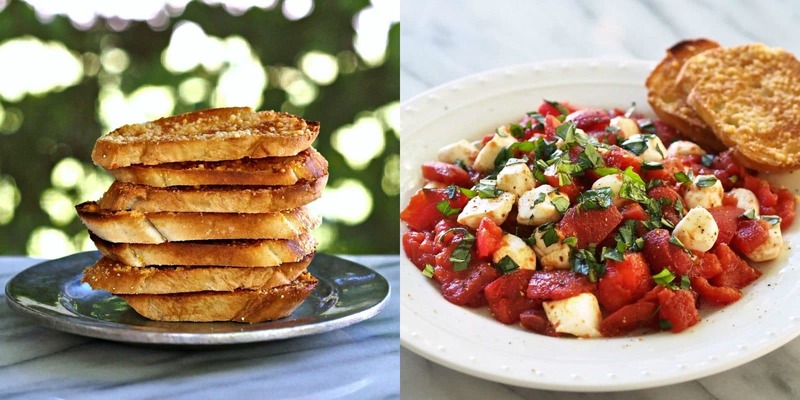 Parmesan crisps are the perfect companion to serve with Roasted Tomato Caprese Salad, and they are so simple to make. Directions are included below. 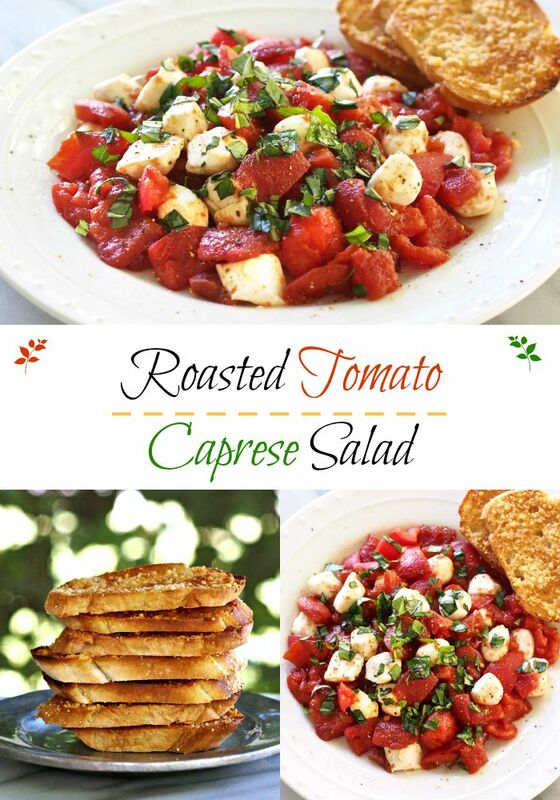 Recipe adapted from Ina Garten’s Roasted Tomato Caprese Salad. Choose a non-reactive shallow baking pan large enough that tomatoes won’t be crowded. There should be room between tomatoes to allow excess moisture to escape. Pour olive oil & balsamic vinegar into baking pan. Cut tomatoes in half, horizontally, and remove stems & seeds. Bake 2 hours or until tomatoes begin to caramelize and are wrinkled. Remove tomatoes from oven. If desired, remove skins after tomatoes have cooled to touch – the skins will slide right off. Allow tomatoes to cool completely, then quarter (or halve, depending on size of tomatoes). *See notes. 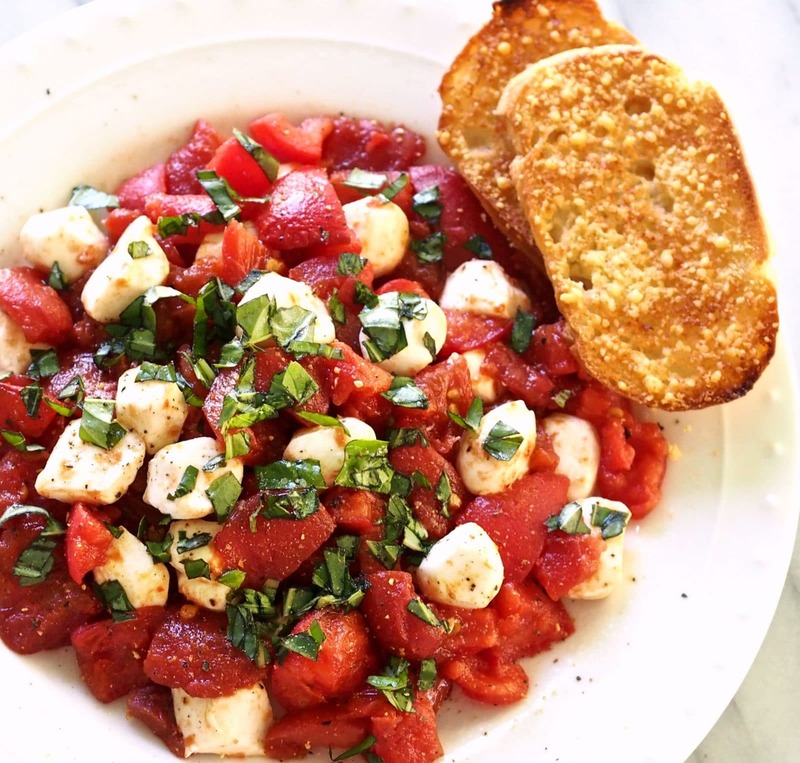 In a medium bowl, combine roasted tomatoes, mozzarella pearls and cut fresh basil and drizzle lightly with good olive oil. 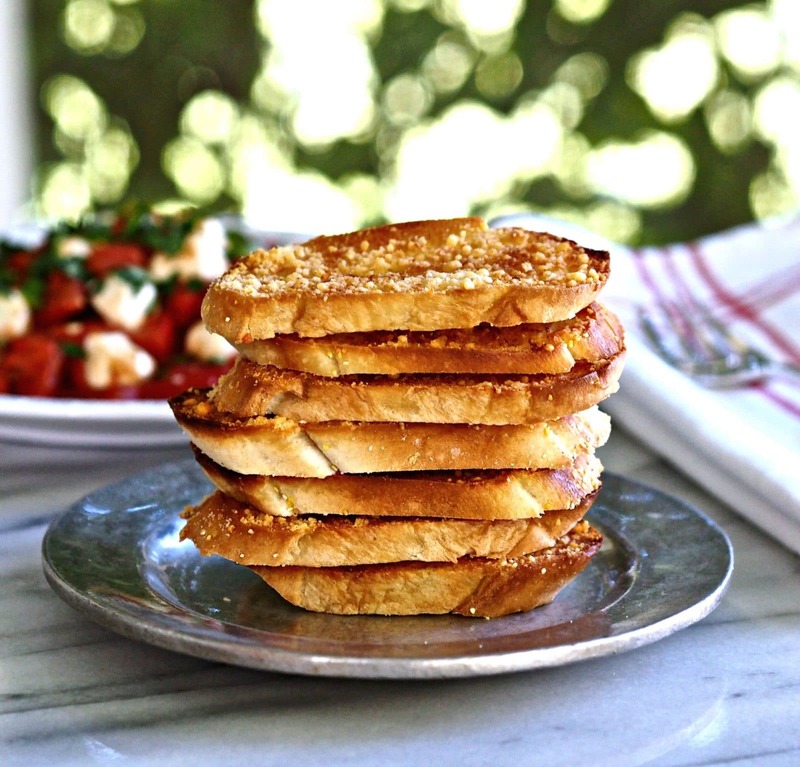 Serve at room temperature with Parmesan Toast Crisps. **See notes for “make ahead” advice. Position oven rack at 1/3 top of oven. Preheat oven to broil. Butter each slice of bread completely. Lightly sprinkle buttered bread with kosher salt. 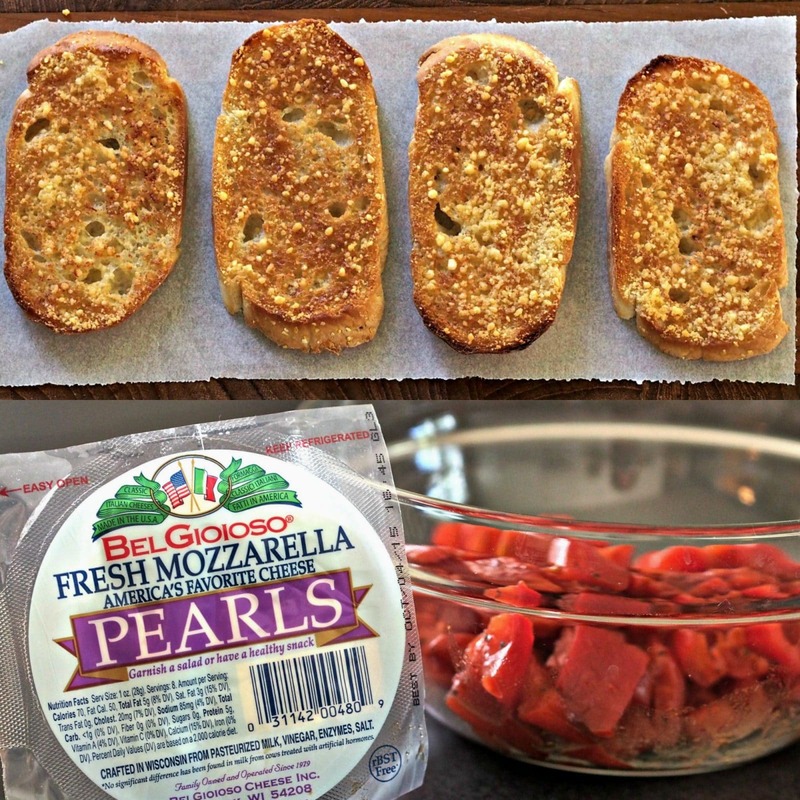 Liberally sprinkle bread with grated Parmesan cheese. Broil until golden brown. (watch closely). 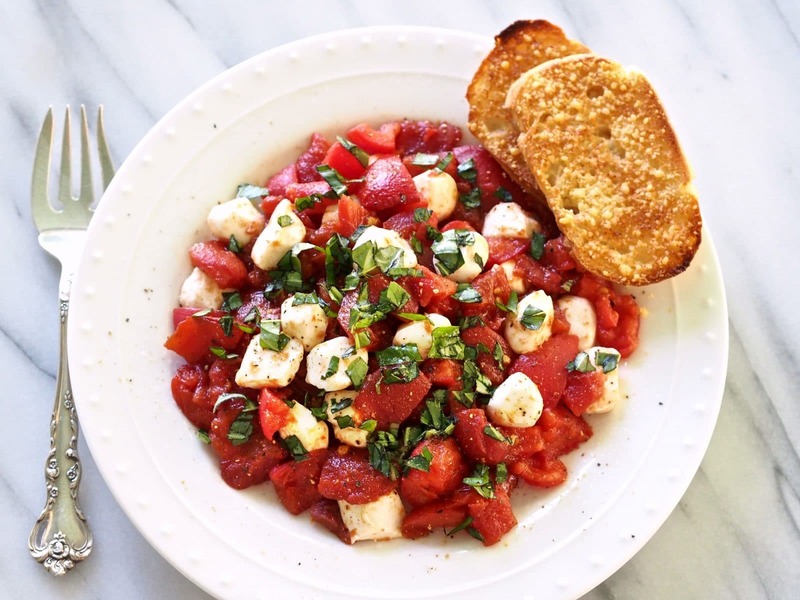 The salad can be made with sliced tomatoes and sliced mozzarella instead of bite-sized pieces. It can also be served in layered concentric circles on a platter with basil sprinkled on top. 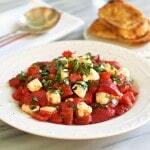 *Make Ahead: Roasted tomatoes will keep in fridge up to five days and frozen up to 4 months. This salad is amazing. The tomatoes and mozzarella pearls together are so delightful. The pics say it all....so good!